What is it about us that makes us stand out from the big box stores? 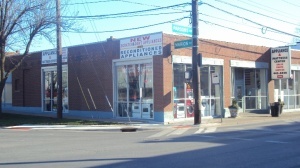 AMC is a family owned local mattress store located on 1941 Parsons Avenue Columbus. We sell new pillow-top mattresses mostly to residents in the Columbus Ohio area including Westerville, Reynoldsburg, Lancaster and Grove City. We just started carrying furniture also not too long ago. Our mattresses are supplied by one of the best companies in the state of Ohio– Solstice Sleep Mattress. When you buy from us, we believe you will like what you get or your money back. We have been at the same location for the past 24 years and have sold to a huge number of customers. Our inventory is full of new quality mattresses at very competitive prices. We do not carry used mattresses. Everything we have is sealed in factory plastic covers. Appliance and Mattress Center strives to establish customer relationship with all customers to help us understand your needs and serve you better. We are proud to say we have many customers who recommend us to friends and loved ones. Very soon we plan on adding furniture too. This will help give you a one stop shopping experience for your home furnishing needs. Check back here later to learn more about us.